The move would make the Commission less reliant on the pronouncements of European Council and the interests of the Union's member states. While there are benefits to consolidating the eurozone's votes, they don't have much to do with the eurozone. This action could be part of the more consolidated eurozone that Merkel envisions floating this December in Brussels. If the Commission is talking about it now, it might mean that France and Germany's longtime opposition to attacks on their prerogatives in international organizations may be thawing. On the face of it, the Union would lose a lot from this plan. Right now eurozone member states control 28.3 per cent of voting quotas, and the Union itself controls almost 32 per cent (not counting Poland which, as an alternate Board member, would vote an additional 2.7 per cent). A larger number of seats influences more votes than the aggregate eurozone as a whole, which controls about 20.5 per cent of the voting quotas. These numbers suggest that the Commission is willing to give up some voting strength for the Union as a whole for greater control over the eurozone's votes. 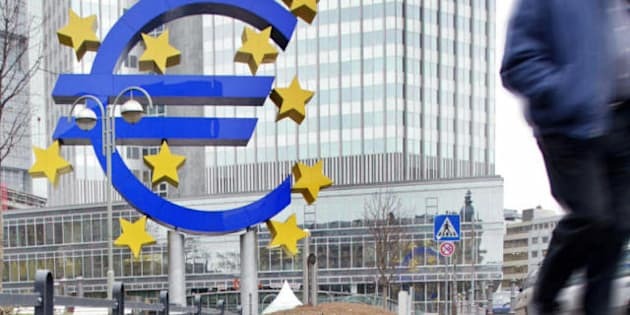 The biggest risk with the move is the degree to which eurozone members, if transformed into one IMF member called the "eurozone," can and ought to be held responsible for the failure of a eurozone member to repay its debts. Sanctions for this are rare but they have occurred in Sudan and Zimbabwe, and the Membership Agreement for the IMF provides for suspension of voting rights in those cases (Article XXXVI and Schedule L). Either the eurozone members' voting rights will have to be joined to the various crises of their members, or one of the only remedies the IMF has for non-compliance will have to be gutted for the eurozone. I would bet on the latter. This move is also likely to drive the eurozone farther from the non-euro members of the Union. By consolidating all eurozone votes into one, it is a bloc vote every time, with no formal need for the Commission to consider the concerns or other EU member states. Keep in mind that all Union members are already obligated under the Lisbon Treaty to "uphold the Union's position in [international] forums." (Article 34.) Under this plan, the Union would not even need to try to form a position. It remains to be seen if non-euro members want to give up the Union's current favorable arrangement in the IMF to essentially allow an organ of the whole Union, the European Commission, to force the eurozone to vote as a bloc even on matters where there is no existing Union position to follow. It is also unknown if changes for how the EU votes at other institutions, such as the G-20 and the UN, might follow.